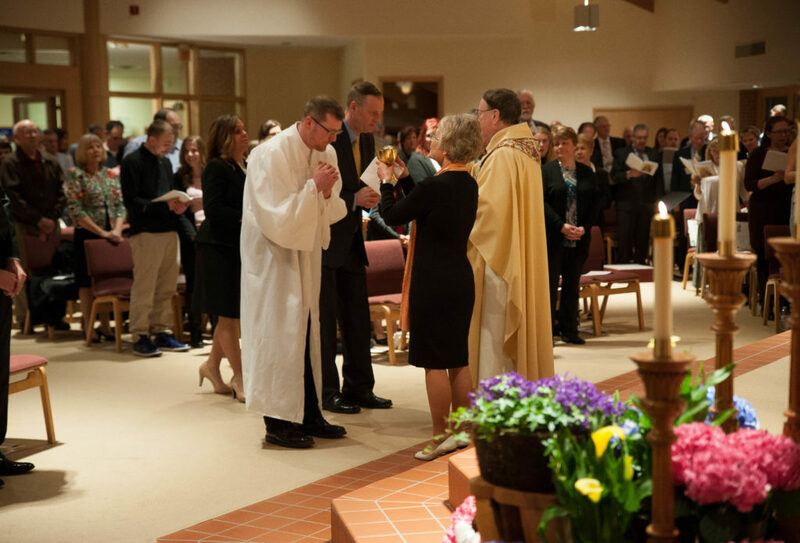 Journey, a process for people who are unbaptized, consists of four periods of formation which are marked by rituals that celebrate what has been completed and call a person into the next phase. The Pre-Catechumenate: The Inquiry sessions are a chance for you to share with others in a safe and welcoming space your faith journey, your questions, and to discern what it is that God is calling you to in your life. In this way we can also share with you our Catholic faith, community, values, and worship. We are here to answer your questions, share our faith, and walk with you during this phase of your journey. The Catechumenate: This stage marks the longest period of the process of becoming Catholic. Guided by a reflection on the scriptures proclaimed each Sunday, participants foster a deeper awareness of God’s presence in their lives, increase their involvement in the worship life of the community, and extend the love of God to others in service. This is the time when they look more closely at Christian beliefs and Catholic teaching. Mystagogy: This is a time of deeper understanding of the Paschal mystery. The distinctive spirit and power of the period of mystagogy derive from the new, personal experience of the sacraments and of the community. Like a honeymoon, this period marks and celebrates the beginning of a new life together with the Church. It continues the meditation on the Gospel, participation in the life of the Church, and the discipleship begun in the Catechumenate.